While Portland may be known as a Mecca for all things hipster, it also boasts some serious natural beauty. 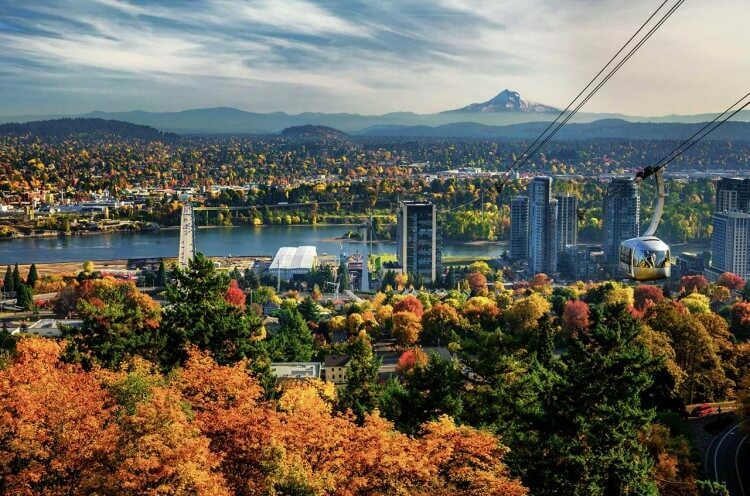 With Mount Hood overlooking the city and the Willamette River running through it, Portland has plenty of ways to find a dose of the great outdoors without ever straying too far from a craft brewery. In fact, Portland has more craft breweries per mile than any other city in the United States. Once you've had your fill of day hikes and brewery tours, take advantage of the tax-free shopping and check out the quirky boutiques in Portland's West End. Looking to put a new spin on the classic wine country getaway? Check out Paso Robles, California. Located halfway between Los Angeles and San Francisco, Paso Robles combines the sophistication of world-class wine with the laidback cool of cowboy country. In addition to its almost 200 tasting rooms, Paso Robles is also famous for its natural sulphur hot springs. It has been rumored that the springs can heal the sick; some 19th century tourists would actually drink from them! While we recommend sticking to the local wine, a dip in the thermal waters is a great way to relax after a day of vineyard tours. Lake Geneva has been a favorite weekend getaway for Chicagoans since the late 19th century. Many of the stately vacation homes from this era still surround the namesake lake, giving this resort town a unique vintage vibe. While you don't need to be a railroad baron to vacation in Lake Geneva anymore, there are still plenty of opportunities to pamper yourself at one of many local luxury spas. If your group is looking for something more active, check out the beautiful biking and walking trails around Geneva Lake or take a boat tour of the beautiful lakeside estates. This quirky mountain town pairs a rich history with a thriving food and arts scene. If you're looking for entertainment that's light on your wallet, go no further than downtown Asheville, famous for its wealth of buskers, street artists, and Bluegrass bands. From downtown, you can easily head over to the River Arts District, home to more than 200 artist studios, many of which are open to visitors. While you're there, don't miss a visit to Wedge Brewing Co. where you can play a round of corn hole while sipping on a local IPA. No trip to Asheville is complete without a visit to the famous Biltmore Estate. This sprawling Gilded Age mansion is the largest privately owned house in the United States and features more than 250 rooms!